What do you look for in a Silk Road piece (or any writing)? The most important thing in a piece of poetry, for me at least, is an indication of the ability to think outside of the obvious. What I mean by that is this: a love poem should never simply be a love poem. Yes, sometimes love is just love, but more often than not it is too complex and convoluted to capture in such a simplistic manner. Love poems should also be about trees, and rain clouds, and clam chowder, and the death of a great-great-aunt. Art should expand the average person’s view of what it is to “be.” If a poem fails to make me consider the accepted way of things in a different or interesting way, or if I feel the poem will fail to make anyone do so, then I see the poem itself as a failure. Of course other things go into writing a poem (rhythm, cadence, word choice, the mere ability to write an interesting and eloquent phrase) but the soul of a poem is most important to me upon first reading. If you could have ANY job once you graduate, what would you love to do? Money is no object. My DREAM job is to be a professional foster mom for cats—I’ve also had dreams of becoming a florist or home decorator or baker. I’d probably settle for being a high school English teacher. Do you have any authors (or pieces of literature) that inspire you? 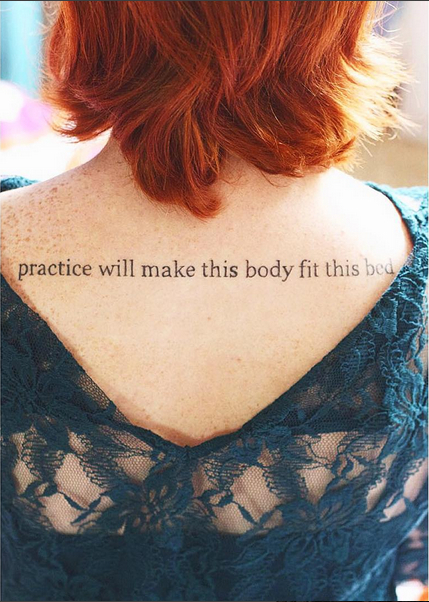 I’m currently obsessed with the work of Adrienne Rich and Edna St. Vincent Millay—strong and unashamed female poets. Charles Simic is one of my all-time favorite poets. I have such a dedication to his work that I’ve had some permanently scribed onto my body. I also greatly admire F. Scott Fitzgerald for his ability to write the same story over and over again, but with such beautiful wordsmithing that the reader doesn’t care at all that there is no difference in the plot of This Side of Paradise and The Beautiful and Damned. What does Silk Road embody to you? What words would you use to describe Silk Road to someone who knows nothing about it? Silk Road is about pushing boundaries—literally, we focus on the intersection of different cultures and values in clarifying the human experience.